1. Take Highway 285 South for about 3 hours passing through Fairplay and South Park. 2. After passing through Johnson Village, Highway 285 will turn left, going South. 5. Approximately 35 minutes later, you will arrive in Moffat (very small). After Moffat look for a small sign on the right side that says Crestone and turn left onto T-Road towards the mountains. 6. Travel for about 11-12 miles on T-Road towards the mountains. 7. As you approach Crestone the road forks, take the right turn through two white columns with the name Baca Grande. 8. 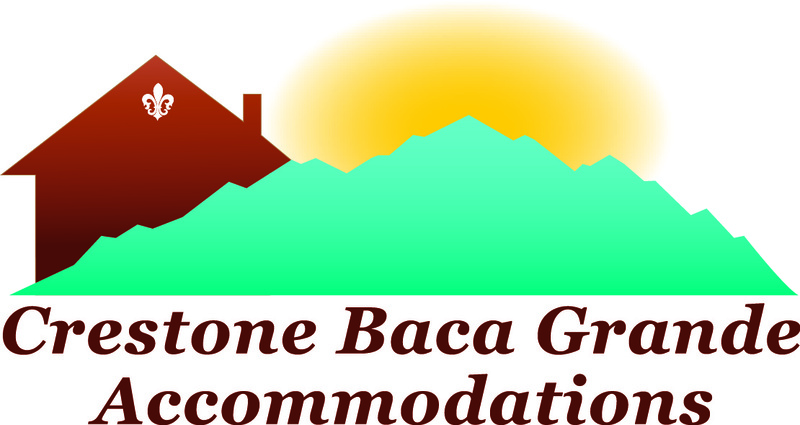 Take the 1st right on Baca Meadows Townhome Road towards the Desert Sage Restaurant and the Baca Townhouses. 9. You will see a row of townhouses on your left hand side. If you are renting one of the independent homes, please contact us for directions. Thank you for calling and leaving a message; we will return your call as soon as we are able!